New Delhi : The market is flooded with different smartphone brands and amongst all the Black Shark 2 is possibly the most desired high-end device of today. It is Xiaomi's first ever gaming phone which is limited very much to the officials of the company. Well, the official renders of the Black Shark 2 arrived ahead of launch date and were shared on Weibo. And, we got to capture the first look of this gaming smartphone. The Black Shark 2 is very similar to the Meizu 16th launched in China. But, it is a bit thicker with bezels on the top and bottom. The thin bezel design is finished off with what looks like stainless steel edges making the phone look premium and elegant. The rear design still remains in the dark though despite the renders. 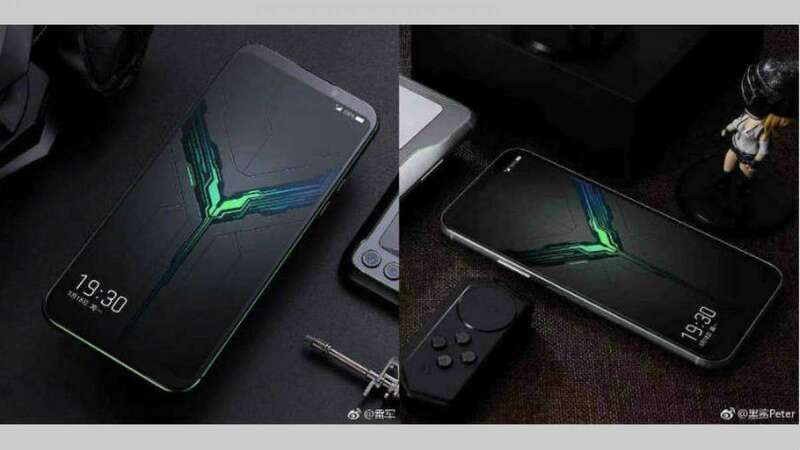 As for specifications, the Black Shark 2 is expected to come with a Snapdragon 855 SoC, becoming one of the few smartphones to feature the Qualcomm chip this year. The handset is also confirmed to come with a 48-megapixel rear camera, as per latest samples released by the official channel. There is a speculation that Black Shark has also teased a new Liquid Cooling 3.0 technology which will be unveiled at the launch event. The company has also devised a custom esports battery that optimizes the discharge time by 60 percent. Also, Xiaomi could top the battery with a 27W fast charging system making the smartphone a truly powerful gaming device.